It’s the middle of summer. You’ve bingewatched all the new stuff. You’re caught up on Shameless and Game of Thrones. You can’t bear to see anything else vaguely political, and your DVR playlist is sitting there at 98% free. Admit it, you’re down to watching cat videos on YouTube. Did you know that you can probably get 25-30 new channels filled with proven entertainment, with nothing but a small one-time investment? I’m talking about getting an antenna. A TV antenna is the one upgrade you should not be without during the summer. With a TV antenna, you open the door to tons of free entertainment, from the shows you grew up with to local interest and educational programs. A lot of folks can get free, high-quality TV content by putting up an antenna that’s no bigger than a laptop computer. In many cases you don’t have to climb up on the roof and even if you do, there are tons of antennas that are a lot easier to install and aim than you imagined. This isn’t like when you were a kid and your dad went up on the roof for a few hours to figure out what was going on up there. What kinds of shows are on? It varies from city to city but in many cities, you’ll find several networks devoted to “retro” TV programming, the stuff you remember from the 60s, 70s, and 80s. These are the shows you grew up watching, the ones that made an impact. Ever wonder where “Marcia, Marcia, Marcia” went? Do you still feel like you were “West Philadelphia born and raised, on the playground was where I spent most of my days?” Your old TV friends are all out there, still available and all it takes is an antenna. There are also local channels, religious channels, news channels, and even movie channels. It’s all there, and it’s all free. How could all this be free? Free TV used to be the way we all watched TV, before cable came along. TV and radio broadcasts are actually required to be free, it’s a government requirement. Cable TV providers can charge to bring TV into your house because they’re promising better reception and channels you can’t get over the air. In recent years with digital broadcasting, though, it’s gotten easier to get over-the-air TV and many folks find they don’t need the cable company. Why doesn’t my cable company carry all the channels I can get with an antenna? They’re not required to, plain and simple. In past years, cable companies were required to carry all local channels but that changed in the 1990s. Today, your cable company probably only carries about 25% of the channels available in your area, although they are the channels most people watch like network affiliates. The summer is a perfect time to give an antenna a try. Start with Solid Signal’s free antenna recommendation service or browse our selection. Once you have an antenna in place, go into your TV’s menus. Every TV is a little different, but usually you’ll find a section for setup that lets you choose cable or air (choose air) and then lets you scan for channels. The TV will automatically pick the channels you get so that you won’t get channel after channel of static like you did when you were a kid turning the knob. 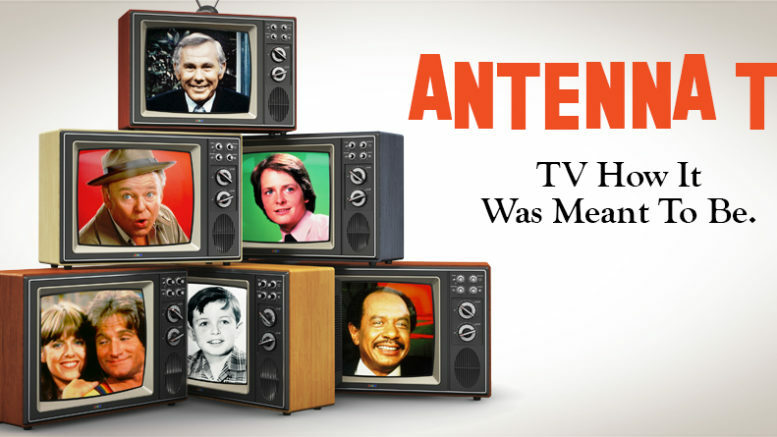 With all the great free entertainment options, why wouldn’t you choose to get an antenna? It’s a one-time purchase with nothing more to buy, and you’ll get more entertainment than you even knew existed! Do you need an antenna amplifier?